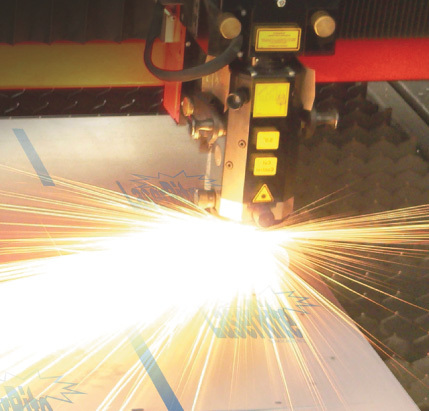 American Biltrite Inc., Moorestown, NJ, introduces the newest addition to its ProtecRite family of products—LaserRite protective films, designed to help optimize the laser-cutting process. The films, which feature an oil-resistant solvent rubber adhesive, provide clean cutting and reportedly reduce laser-cutting time, with no “blow up” or residue after wet or dry polishing. LaserRite 8695 and 8696 are field tested and proven tough even under the highest nitrogen pressures, and feature all-white film construction to eliminate black traces on the workpiece.